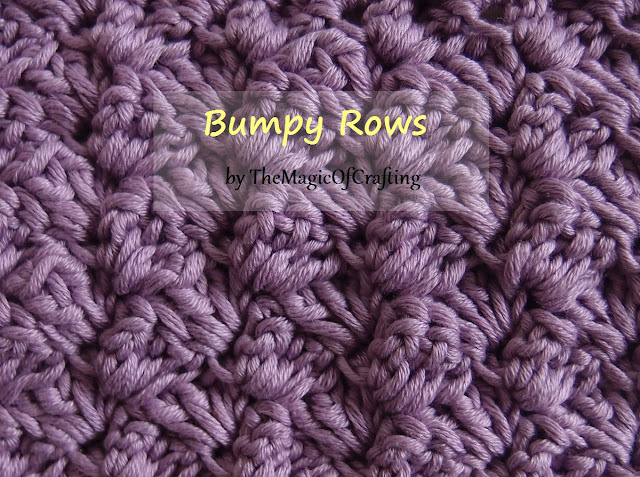 This is beginners friendly stitch pattern that creates great texture - you need only to know how to do chain, single and double crochet stitches (in US terms). This stitch is great for afghans, blankets, scarves, garments or anywhere you want texture while it is still easy to crochet and remember. 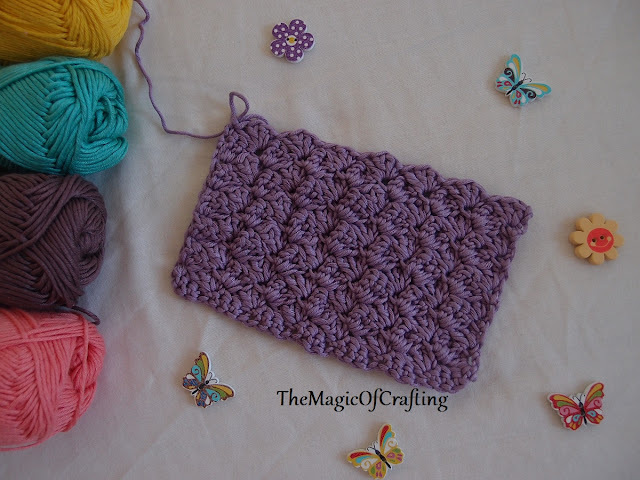 The best part with this stitch is it creates straight edges, no need of additional border. Row 2: Ch 2, dc in same st, * skip 3 st, (sc, 3dc) in same stitch*, repeat * - * till there are only 4 st left, skip 3 st, sc in the last st, ch2, turn. Row 3: 3 dc in the first st, * skip 3 st, (sc, 3dc) in same st *, repeat * - * till there are only 4 st left, skip 3 st, sc in the last st, ch 2, turn. Repeat Row 3 for the pattern. Finishing row: Ch 2, dc in the same st, * sc in the next 3 st, dc*, repeat * - * till the end of the row, finish with dc.